Don’t trust just any company to the finishing touches. With a large library of drapery weight fabrics, New York Textiles & Interiors can design and fabricate custom window treatments that complement your home’s décor. Our in-home consultation service enables you to imagine the finished product in your home. Our experienced designers provide you with drawings and fabric samples so the design process is easy and fun. Let the sun shine in…or not. Custom blinds and shades from a variety of manufacturers, provide the light control, privacy and energy efficiency you desire. 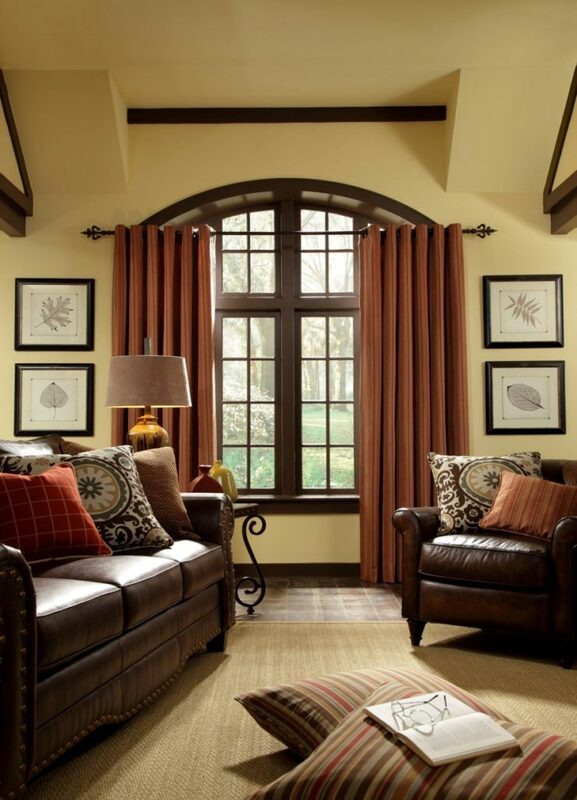 New York Textiles & Interiors is the expert in helping you select the perfect blind style for your window. As a Graber partner plus dealer, our pricing and installation can’t be beat. Make an appointment with our in-home consultant to learn more about all the newest products and features in shading systems. Whether your furniture piece is a family heirloom or your sofa needs an updated cover, New York Textiles & Interiors 60 years of upholstery experience can help you customize your home. You are only limited by your imagination. New York Textiles & Interiors has hundreds of upholstery weight textiles for your selection process. With our upholstery service, let us refurbish your favorite comfy chair back to its original beauty. From soup to nuts, New York Textiles & Interiors offers full service interior design in residential and commercial spaces. With a collaborative approach and more than 60 years of experience, we partner with our clients to design and build beautiful functional spaces. No job is to large or small with our broad range of resources and experienced contractors. Call us today to schedule a personalized consultation appointment and begin to design your dream home. Interior design isn’t just for looks it’s for life. It drives our productivity and internal well-being. Servicing Northern Ohio for more than 60 years, New York Textiles & Interiors' client base includes homes and businesses like yours. Our experience and vendor resources allow us to provide products and services that help to design functional and beautiful spaces. We would welcome the opportunity to work with you on your design project. Call us today to schedule a consultation appointment.